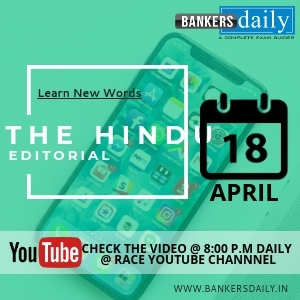 _Aspirants can find the important editorial from the 17th April – THE HINDU in the video discussion which is provided below. 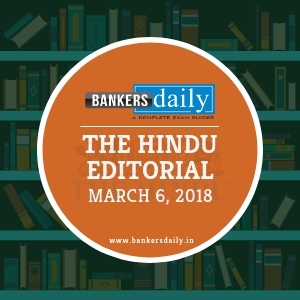 The political rhetoric mounted by the Congress revolved around demonetisation, Goods and Services Tax, the Rafale deal, bank fraud, and the creeping authoritarianism of the Narendra Modi-Amit Shah duo, vis-à-vis the performance of the Siddaramaiah regime. It also accused the JD(S) of being the BJP’s B-team. The BJP charged Mr. Siddaramaiah’s government with corruption, minority partisanship, insensitivity to farming distress, divisive approach with regard to the Lingayat legacy and donning the false mask of religiosity. Mr. Kumaraswamy tended to focus on the great record of his family in politics, promising a shift of policy to agrarian concerns. This political rhetoric, however, has made little headway in grappling with the great challenges that confront the State.